The popular Saturday Sabbath used today by the Gregorian calendar is based on the false assumption of a continuous weekly cycle from creation that has supposedly never been lost. But wait just a second. 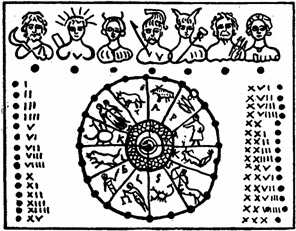 The Romans who created the current calendar of our continuous weekly 7 day cycle formerly observed an 8 day week. This alone disproves the continuous weekly cycle from creation myth and thus disproves the Saturday Sabbath altogether as invalid. 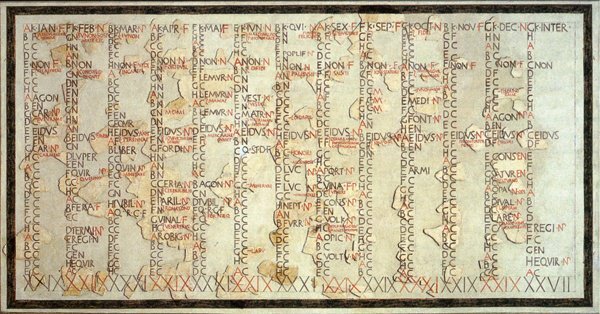 The below Roman calendars clearly show an 8 day week labeled by the letters A through H and then cycling back to A. 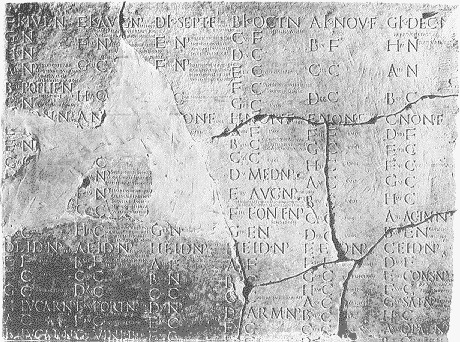 Below is another picture of a Roman Calendar and its 8 day week. We see that Saturday is actually the 1st day of the week as the god of agriculture. Sunday is the 2nd day of the week. And Monday is the 3rd day of the week as depicting the crescent moon on the head. So if we are following the Roman calendar to keep up with God's supposed continuous weekly cycle from creation, but the Romans themselves did not continuously keep a 7 day week, then Saturday Sabbath keepers have a huge problem on their hands.